For our Cinco de Mayo Fiesta, Natalya and I decided to set up a taco station. On our lazier days, we just cook some ground beef with a packet taco seasoning, but I wanted to do something different. 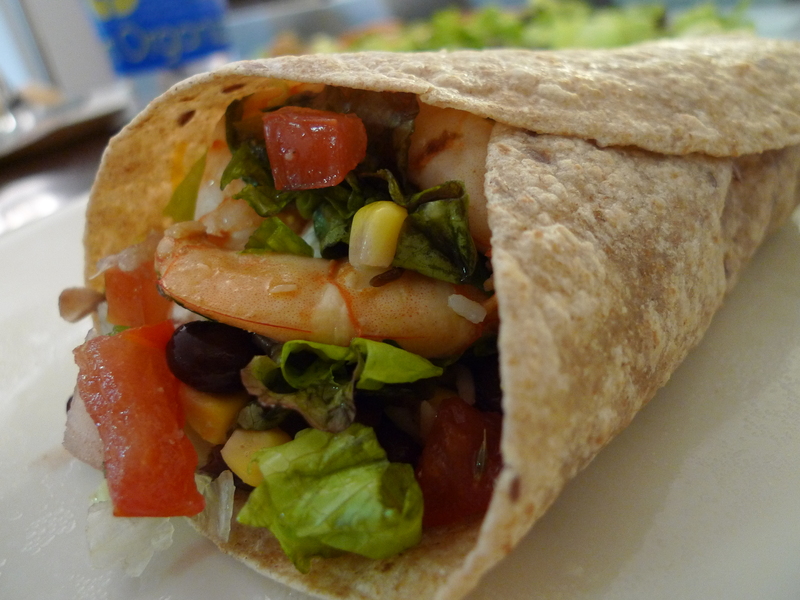 I was debating about making some pulled chicken in the same way we did for our Layered Chicken Enchilada Casserole, but I was craving some shrimp and decided to make shrimp tacos instead. 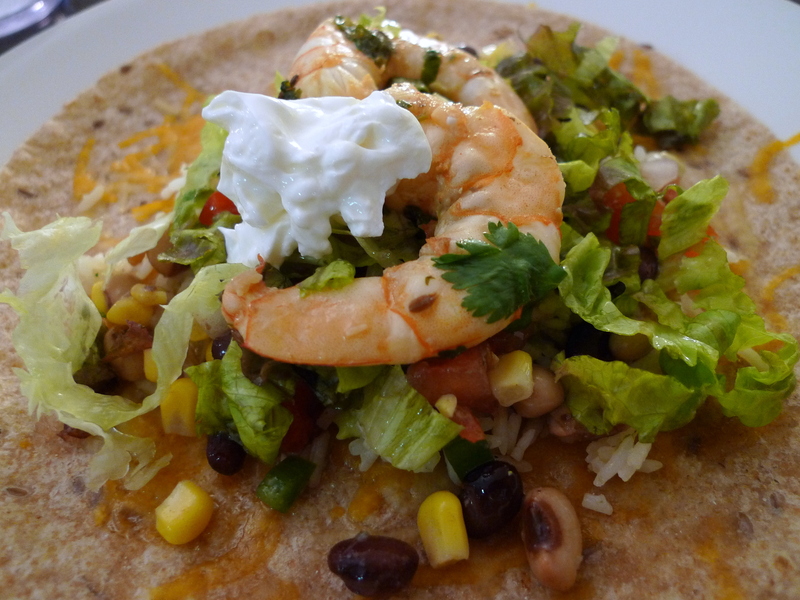 We often make Shrimp Tacos with Mango Salsa, but we decided to fancy it up further with Tequila Lime Shrimp. We decided to make our own salsa as we love when its freshly made, such as when we made Pico de Gallo for our Baked Fish Tacos. I came across a bean and corn salsa recipe and figured it’d balance the zesty tequila lime flavors perfectly. 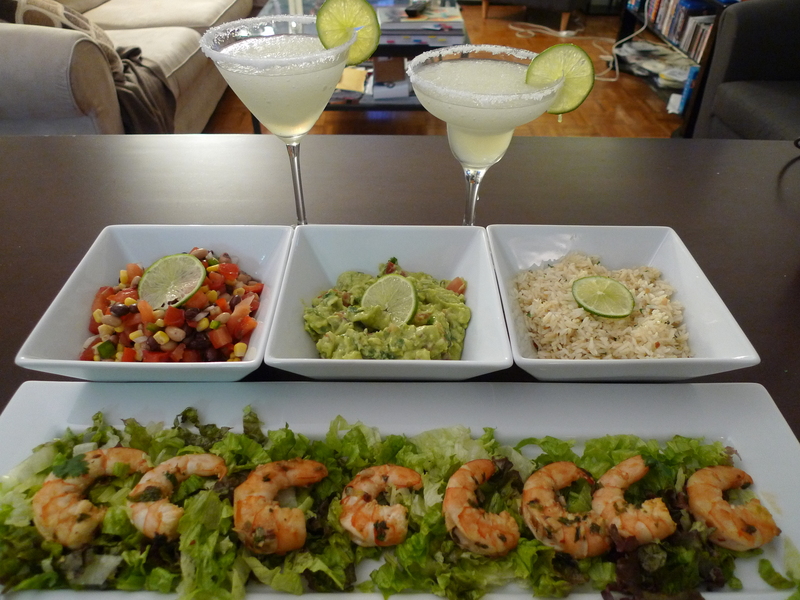 Our taco station consisted of Tequila Lime Shrimp, Tequila Lime Rice, Guacamole, Spicy Bean Salsa, lettuce, and sour cream. And of course, it must be served with a frosty glass of salt-rimmed margaritas! 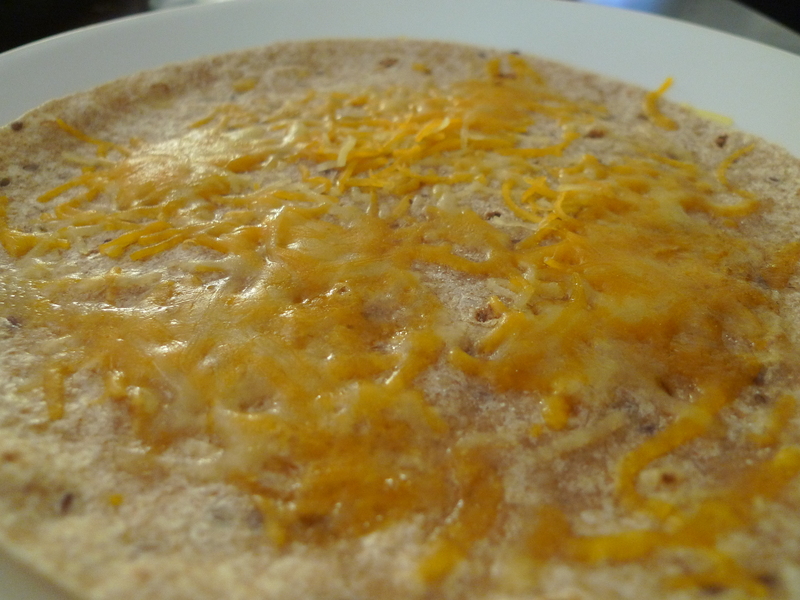 Heat some Mexican cheese on a tortilla until melted (30 sec in the microwave). 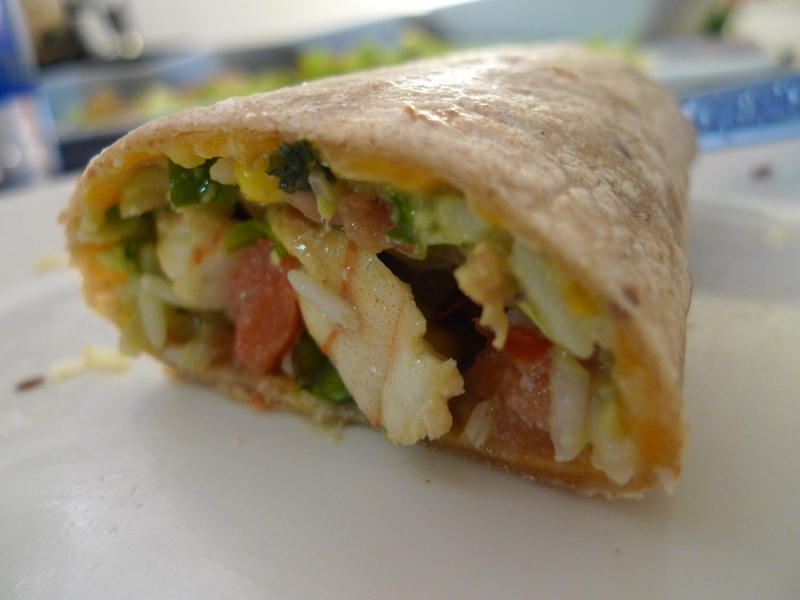 Spread some guacamole over the tortilla, then add the salsa, rice, lettuce, and shrimp. Top with sour cream.